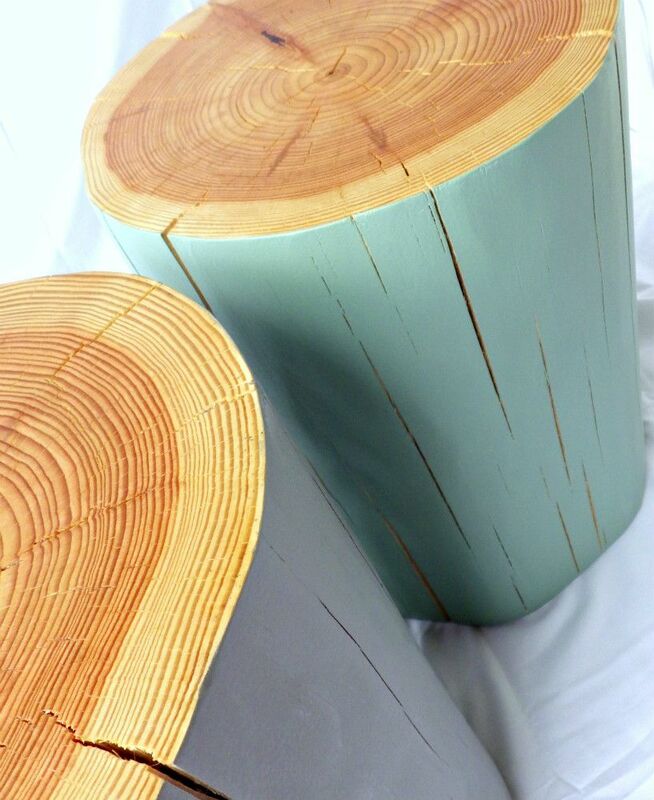 Giant versions of our decorative logs, standing a sturdy 40cm tall and 30cm in diameter* these trunks are the perfect size to use as side tables; double up usage and put them into action as seating when you have extra guests visiting! 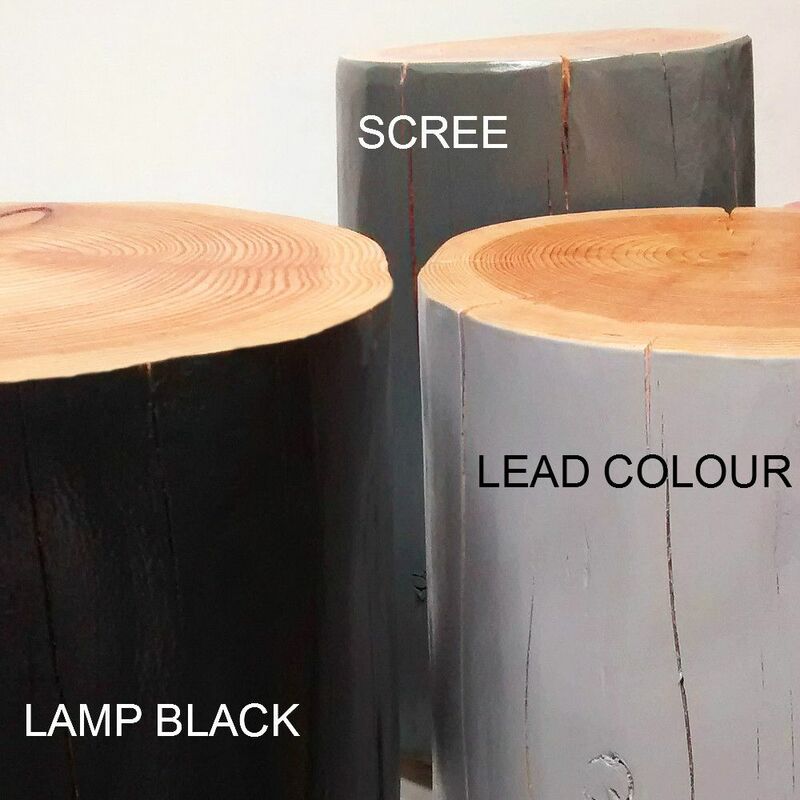 Our modern-rustic, hand painted log side tables/stools have tiny feet on the bottom to look after both your log and your floor, and are available in a variety of colours. 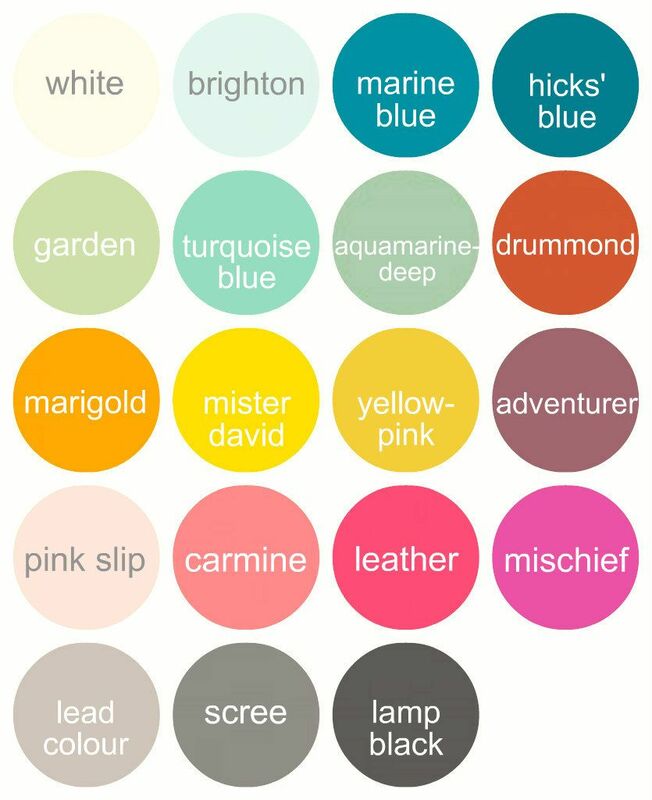 Our EGGSHELL paints are from The Little Greene Paint Company Ltd and will perfectly complement our Colour Mix log bundles - or why not create your own bespoke mix? Little Greene's Eggshell finish is the traditional choice for woodwork; with a low sheen, it is tough enough to withstand wear and tear and repeated cleaning. The colours are beautifully rich. 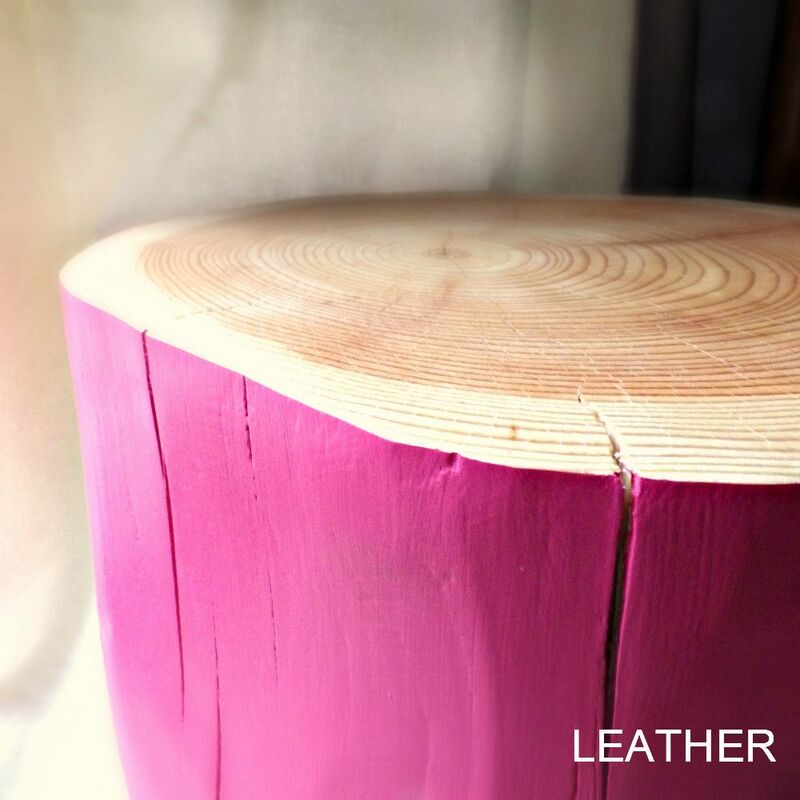 The top/upper end grain of each hand painted log table/stool will be protected with a clear satin varnish as seen in the final image above; see also the small feet set into the base. 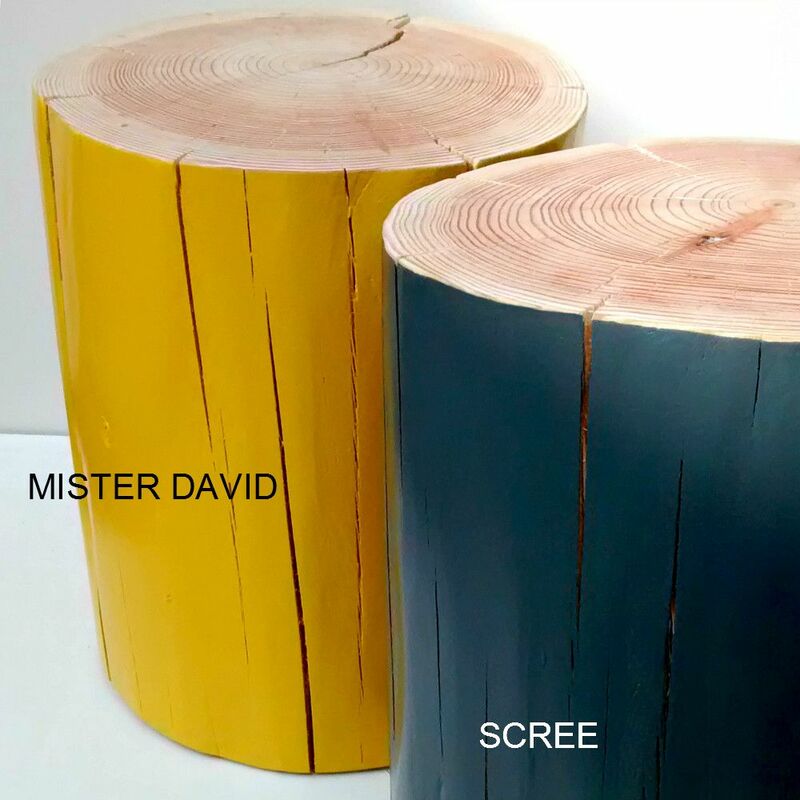 * sizes are approximate as tree trunks will naturally vary in width.